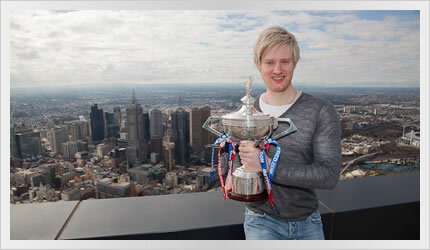 The champion of the world was at the top of the world when he was officially welcomed home by invited guests & family at a media event hosted by Skydeck on Level 89 of Eureka Tower. Neil on top of Eureka Tower, 297 metres above Melbourne. Photo courtesy Will Watt. Skydeck is the southern hemisphere's highest viewing platform. Boasting what was arguably the world's highest snooker table (provided by Alcocks Billiards), the event featured an exhibition with some of Australia's rising snooker talent. Lining up a shot on the world's highest snooker table. Photo courtesy Will Watt. Thanks to the Skydeck team for an event to remember, with special thanks to James Cockburn and Peter Jones for their personal effort in making the event such a success. 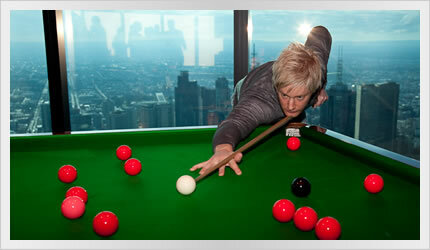 How do you build a full size snooker table on the 89th floor in just 2 minutes and 40 seconds? With time lapse, of course. Still images and video taken with a Canon 5DMKii, and the music is "North" by Phoenix. Neil was greeted by fans at Princes Entertainment Centre in Carnegie, the scene of those magical moments from the early morning of May 3rd. Neil appeared as a guest Red Faces judge on "Hey Hey it's Saturday" on Channel 9. For the record, his scores were a 7, an 8, and a 9. 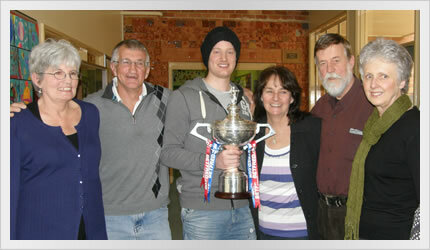 Neil was again joined by friends, family & fans at Kings Entertainment Complex in Dingley Village, as Kings hosted the Australian Junior Championships and the Junior Interstate Team Challenge. 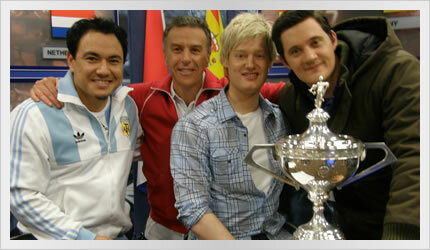 Neil was a guest on Cup Fever on SBS TV. Neil was a guest on The Circle on Channel 10. Former Prime Minister of Australia the Hon Bob Hawke AC was kind enough to meet Neil and congratulate him on his achievement. 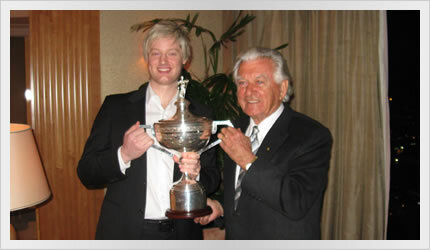 Bob is a long time patron of the Australian Billiards & Snooker Council. 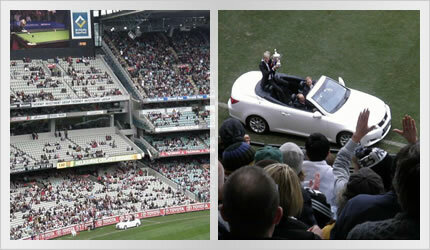 Neil was hosted by the Collingwood Football Club at their MCG clash with St Kilda. Celebrations included a reception at the President's Lunch, and a lap of honour around the ground to show off the World Championship trophy. 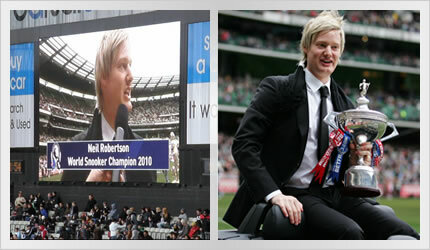 During's Neil lap, footage of his world title win and a boundary line interview was broadcast around the ground to 81,000 footy supporters via huge scoreboards. Neil appeared live on Channel 9's Wide World of Sports with Ken Sutcliffe and Grant Hackett. Neil recorded a TV segment with Jason Dunstall, Danny Frawley and Damien Fleming, which will appear on Before The Bounce on Fox Sports. Neil celebrates his win at Mt Dandenong Primary School, where he was greeted by his former teachers and current Grade 5 and 6 students. Neil with his former teachers from Mt Dandenong Primary School.